When considering how many fans wanted the Majora’s Mask remake, it’s not surprising that demand for the game has been very high; especially for the limited editions and pre-orders that were quick to sell out from several retailers. 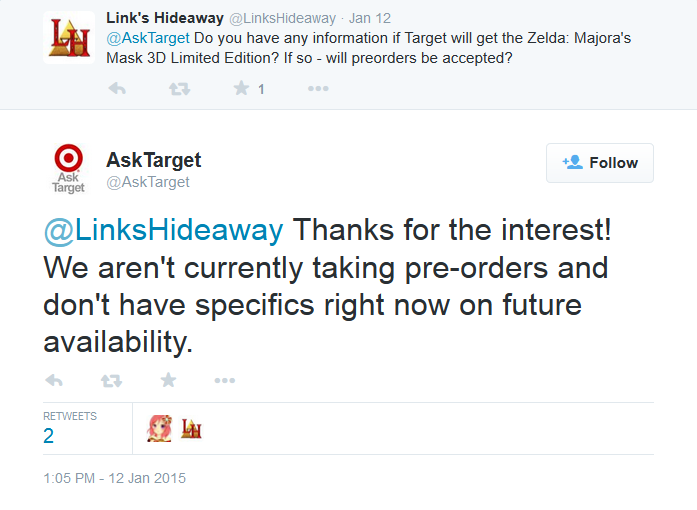 However, retailer Target has recently advised through Twitter that they are currently not accepting pre-orders, nor do they know if they will in the future. Take the jump for more information. We still have not had an official release date for the game, although some of speculated February 13th, as well as April 27th, the 15th anniversary of game’s release on the N64 in Japan. 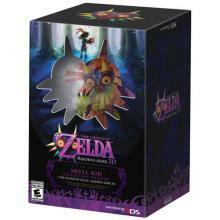 So with that, there is still time for Target to take pre-orders but, for the time being, you’ll have to look elsewhere. Have you been able to pre-order the limited edition? Let us know in the comments below.